Enrique Penalosa, former mayor of Bogota, Columbia, sees transportation as a matter of equity. “An advanced city is not one where even the poor use cars,” says Penalosa, “but rather one where even the rich use public transportation.” (Or bicycles.) How many American cities live up to this statement? NYC, DC, maybe Chicago and the El. In his TED talk, he describes steps he took in Bogota to make transportation more equitable for all. 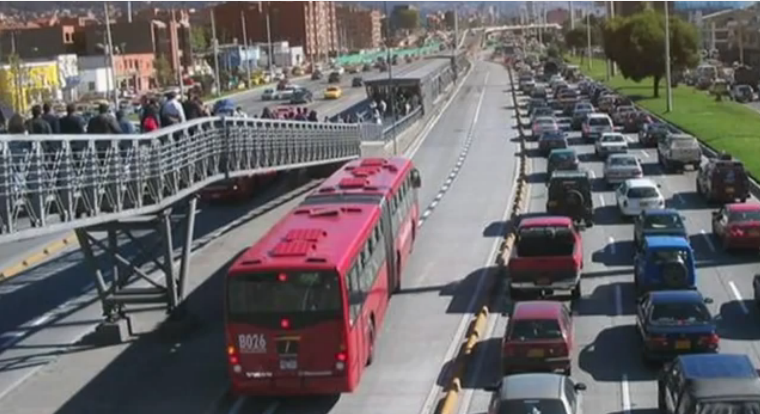 In Bogota, Penalosa built a bus system that travels on dedicated lanes and thus functions like a subway, but at a fraction of the cost. For years I’ve wondered why more cities, especially congested and growing cities like those around my Bay Area home, don’t adopt this method. Penalosa says democratic transportation means that everyone has the same rights and access to transportation resources. To him, this equates to a bus carrying 80 people deserving 80 times the road space of a car carrying a single driver. Public good wins out over private interest. Watch Penalosa’s TED talk, and then tell me you don’t think about it the next time you’re stuck in traffic.